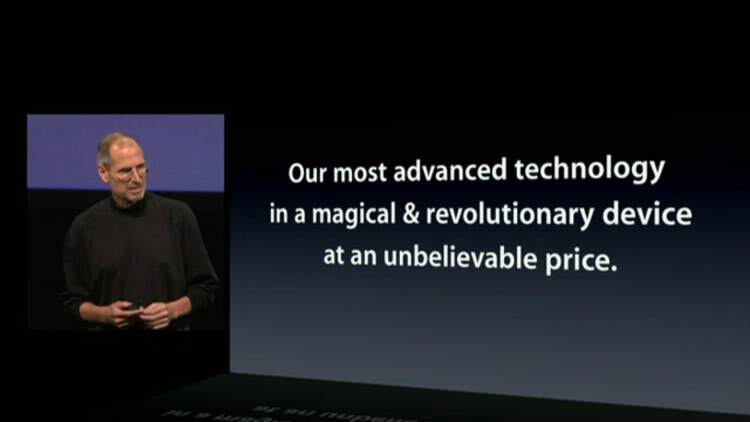 Apple’s secrecy produced another big open secret: they were developing a tablet, and they made it official yesterday. 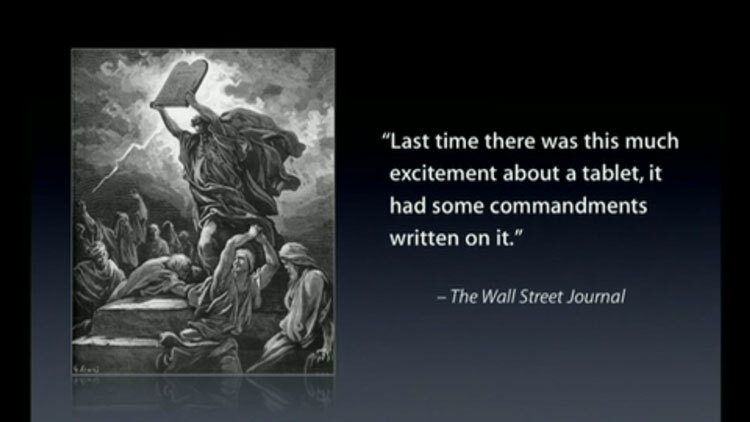 Steve Jobs acknowledged the hype (which one presumes wasn’t supposed to exist at all) when he showed The Wall St Journal quote. However, the resulting massive buildup of hype produced an anticlimactic ‘meh, tell us something we didn’t already know’. The device will only be available in two months, which in turn means this press conference was little more than a means of stemming the flow of leaks – yes, we’re working on a device, but no, it’s not ready yet, and yes, we’re building on what we’ve already done with the iPhone, but no, it doesn’t use facial recogniation software to control different accounts for family members, nor does it have a tactile interface. In a sense (and this is written in fairness to the meh) what Steve Jobs did yesterday was travel back in time and present Shakespeare with a Bic rollerball: a rather useful technological achievement, but something that in the future we won’t be too wowed over. We aren’t that wowed over it now, and that is my point. 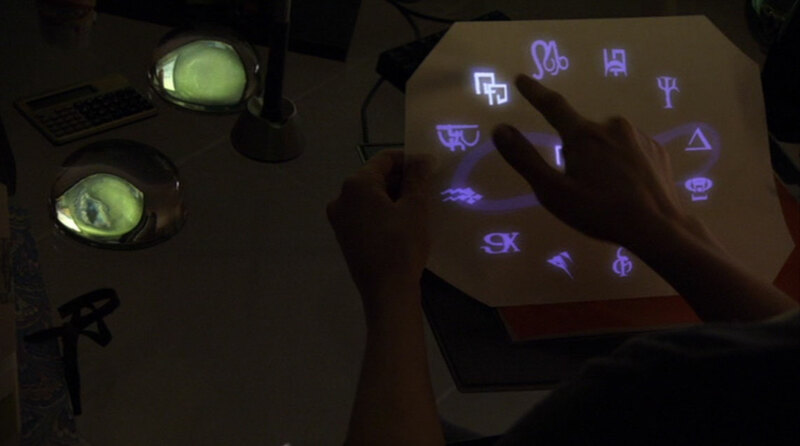 Because we’ve been exposed to tablets in film and television for over twenty years, part of the excitement prior to the announcement came from the fact that these things were finally real. 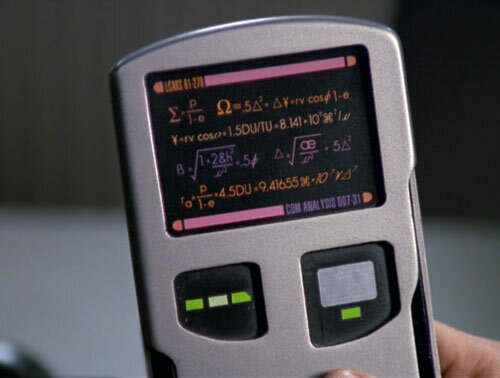 In fact, the devices in the Star Trek shows between 1987-2005 were called ‘padds’ (an acronym) and I wouldn’t be surprised at all to learn the iPad was named in recognition of this. In Greg Bear’s Queen of Angels series (set between the 2040s and the 2170s) they were called ‘slates’ and ‘pads’ alternatively. They are high tech devices, but they are like 20th Century rollerball pens. They are meant to facilitate our use of our networked high technology, and be so ubiquitous in the future that they are taken for granted. So when Steve Jobs says this is the best thing he’s ever done, and when Jonathan Ive is on video saying ‘it’s magical’, this is where they’re coming from. 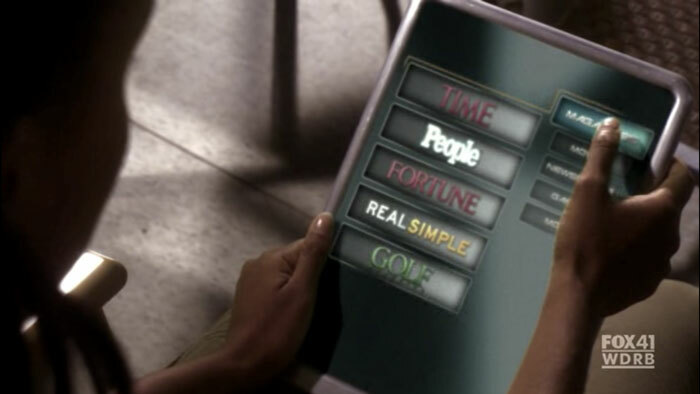 The iPad would have lived up to its hype and then some were this the year 2000, but no. The iPhone announcement was a big deal in 2007 because nothing operated like it at the time, and it hinted at where the technology was going. Three years later, they’ve managed to produce extra large versions with a ten hour battery life. Other companies will also be producing electronic tablets, but one imagines that Apple’s will be superior in ease of use and aesthetics – and these reasons are why the hype was so great. Apple makes beautiful objects. 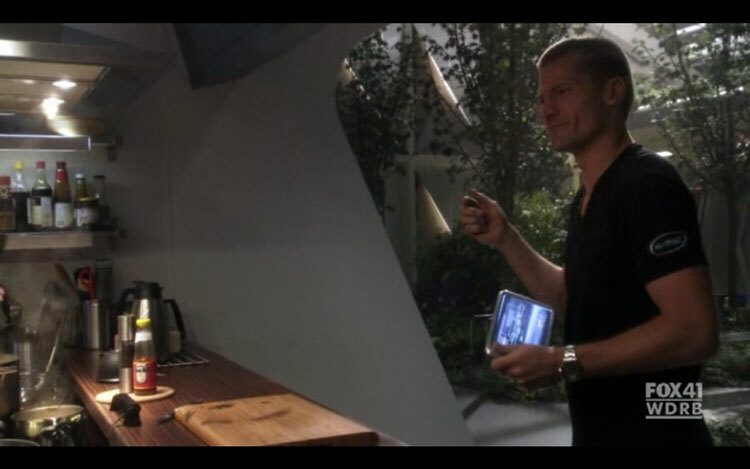 (What most people skipped was that they are now making their own chips, which is a big deal). 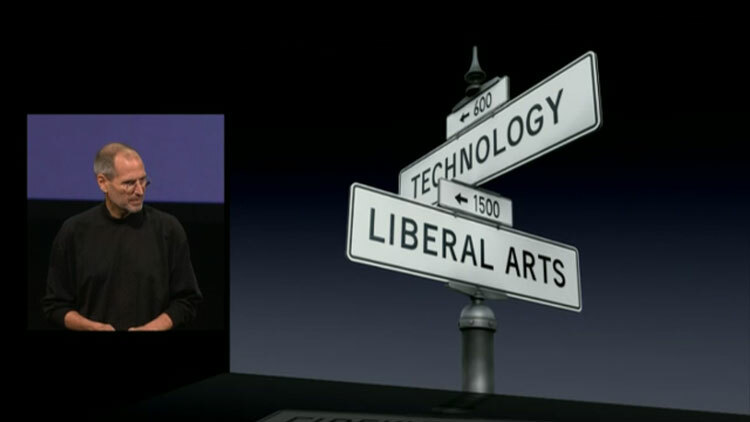 Jobs ended his presentation by telling us that the company seeks to exist at the intersection between technology and the liberal arts. This was a great reminder of the importance of the liberal arts, and the statement came with embedded snarkiness. Businesses like Microsoft, in the words of Jobs, ‘have no taste’. Most businesses, for that matter, put little stock in the value of the arts. Further, most politicians put little value in the arts, and those students who wish to study the liberal arts at a post-secondary level are told they are jeopardizing their future. We have a very arts-unfriendly society, and a resulting population of imaginatively impoverished citizens. Citizens, in turn, whose imaginations are so blighted that they seem mystified by Apple’s success. They’re all like, ‘Apple, wow, how do they keep coming up with hit products?’ In producing attractive things, Apple has both ignored the academic post-modern attacks on the idea of beauty, and wowed the business world by becoming a fifty-billion dollar company. I am thankful that Apple’s example exists to counter the tasteless lack of imagination of our ruling elites. 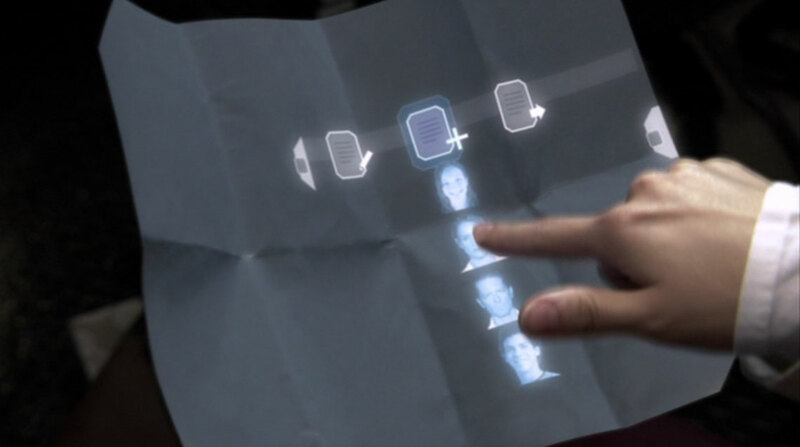 From here, Apple now has to bring us electronic data sheets, as represented in the new series Caprica. 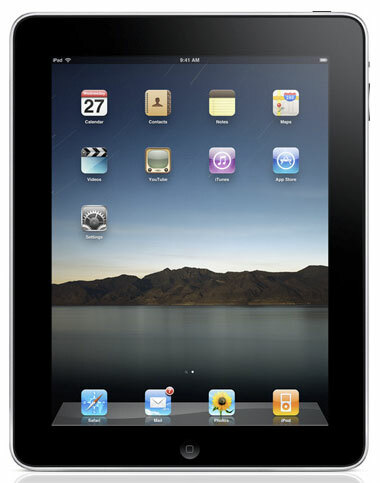 The iPad is a twenty-five year old idea for which the technology has finally been developed. 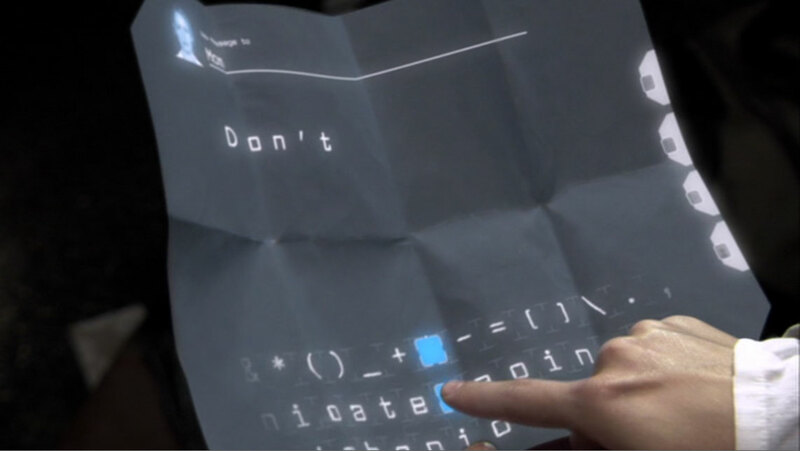 The Caprica data sheets appear to be where we go from here.